Drafty churches and shivering worshipers? There is a better way. The heating specialists at Mahr produce an indoor climate that is comfortable for worshipers and good for historic structures. 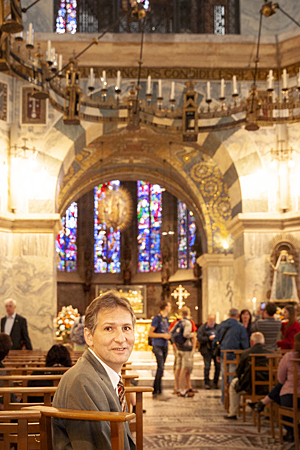 From a technical point of view, the Aachen Cathedral is hell to heat,” says Jürgen Reinecke with a smile as he stands in the chancel and points up at the imposing building’s innumerable stained-glass windows. In 1470, the chancel was built onto the original octagon, which dates from 812. “These two structures are actually a very poor match.” On the one hand, the massive, thick walls that take no notice of whether it is summer or winter outside; on the other, the chancel with 1,000 square meters of windows where the temperature drops every night. That invariably leads to drafts — exactly what Jürgen Reinecke is supposed to prevent. In principle, heating works the same way in many churches, with hot air flowing from a central heating unit through a duct system in the floor to an outlet into the church. It returns to the central unit in the boiler room via recirculation inlets. Gravity used to be responsible for making that work, meaning the warm air had to flow into the church and back to the heating unit under its own momentum. The result, according to Reinecke, was usually unsatisfactory since it was impossible to uniformly distribute the warm air inside the church using this technique. Since the 1960s, Mahr has therefore been using fans in its systems to direct the air more precisely through the floor grates into the church, and extract it again. The hot-water air heater installed in the cellar supplies heat to the church through ducts and floor grates. 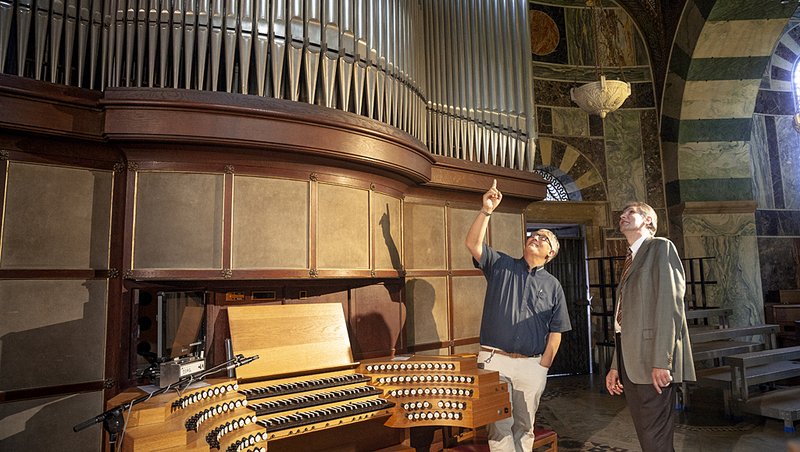 The Aachen-based company has developed several products specifically for its church clientele, including hot-water air heaters, Mahrcalor heating stations, and light stations that filter the soot from votive candles directly out of the air. “Our hot-­water air heaters are actually an improvement of what we’ve always made, air heaters with a central unit but, in contrast to conventional church applications, with a hot water-air heat exchanger,” says Reinecke. They are used as pure heating units in churches. A fan circulates the intake air, routing it to the boiler room and blowing the heated air back into the church. “When we reworked our product line three years ago, of course the question of the appropriate fan came up,” recalls Reinecke. Winfried Schaefer, regional sales manager at ebm-papst, convinced him of the advantages of RadiPac EC ­centrifugal fans, which have since been built into Mahr’s hot-­water air heaters. 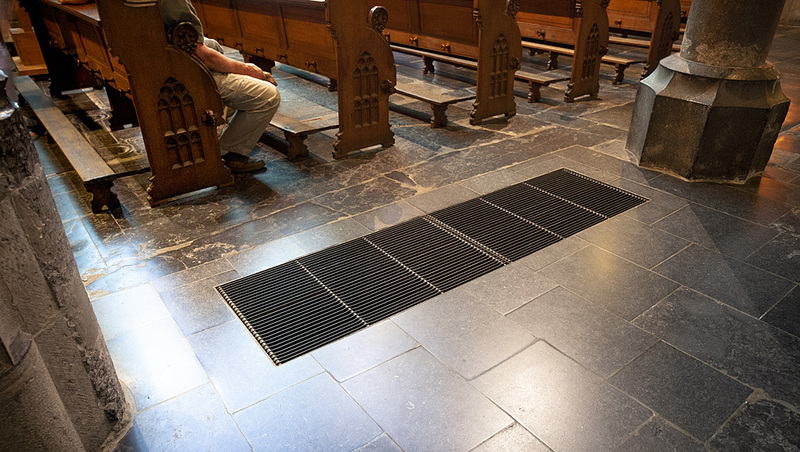 The contact with ebm-papst began in the 1980s during the development of the Mahrcalor heating station, a compact heating station that is embedded in the church floor; only the grate through which the air flows into the church is visible. “In addition to fans and filters, these units contain a lot of elements for acoustic insulation. After all, we’re in a church here and people don’t want to hear noisy machinery during the services,” says Reinecke with a laugh. 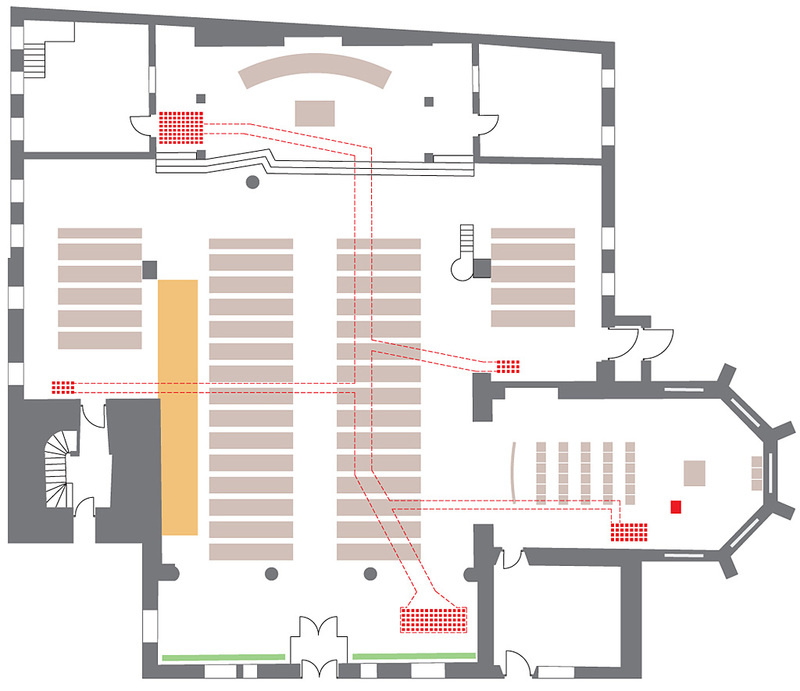 The heating stations are distributed throughout the church for uniform heat input — in the nave and the aisles, and also in the chancel. 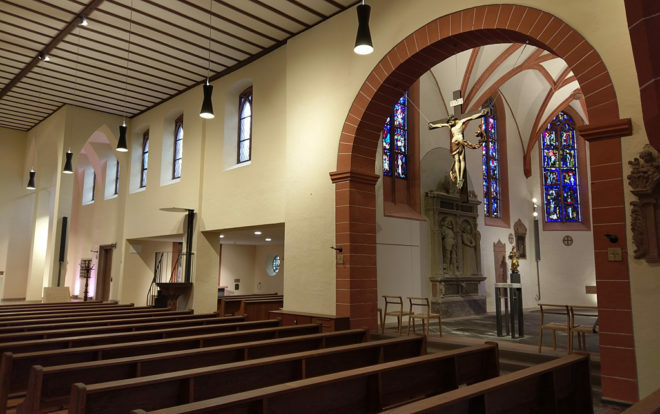 Initially the heating stations worked with only one fan; later Mahr began to use several smaller fans, which helps to establish an even more uniform temperature distribution inside the church. 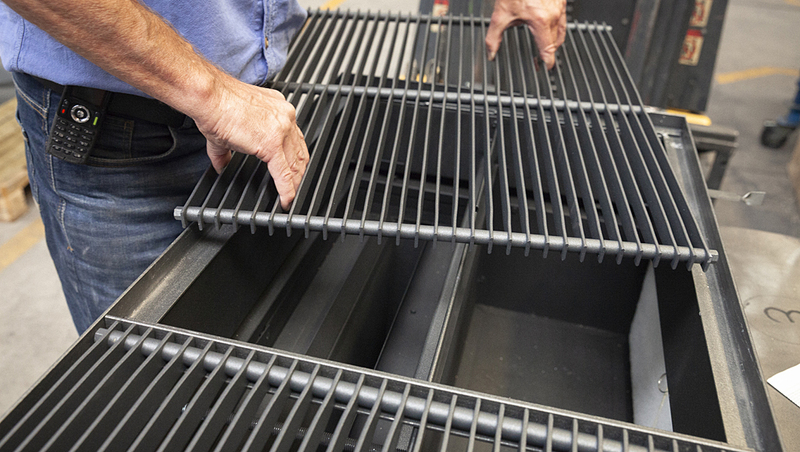 Now more fans and longer floor grates combine to provide pleasant conditions inside the church. “Depending on size, we now have two to six fans in use. ebm-papst is well positioned there,” says Reinecke. The centrifugal fans draw in the air, blow it through a filter into the Mahrcalor station, and bring the heated air back into the church. Since customized solutions also call for specific advice, Mahr has established a Germany-wide sales network to advise church customers on-site. “That’s definitely unusual for an installer with its own production,” says Reinecke. But for him it is the only way to design the best possible heating system for a church. When an inquiry comes in, the first step is for the responsible sales representative to discuss the exact requirements in the church. He brings a lot of questions with him: How is the church currently used, and how is it to be used in the future? Should only the church be heated, or the sacristy as well? How does the current system look, and what parts of it can still be used? 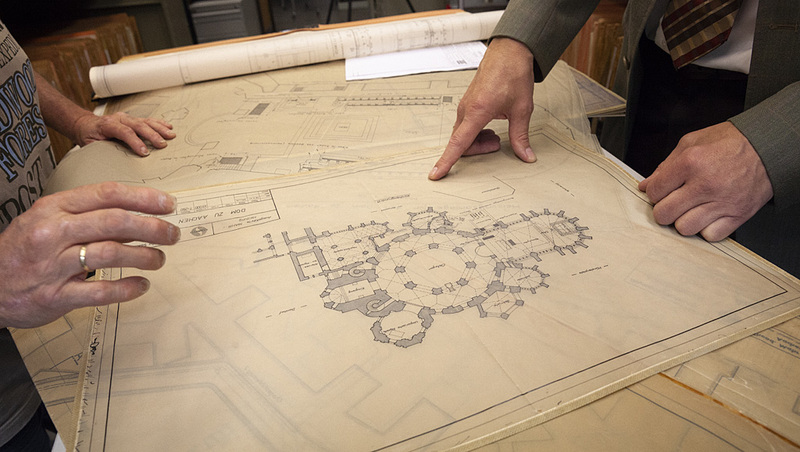 He also performs a thorough check of the interior layout, looking for possible sticking points. 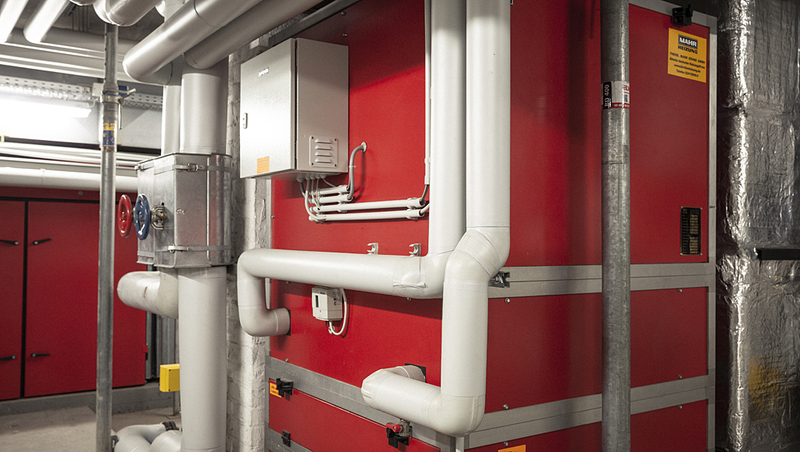 In addition to the expertise of everybody involved, the heating specialists also have a very special treasure stored in the cellar at the headquarters in Aachen: a huge archive with files full of information about the 17,794 heating systems that Mahr has installed in churches in the past 147 years. 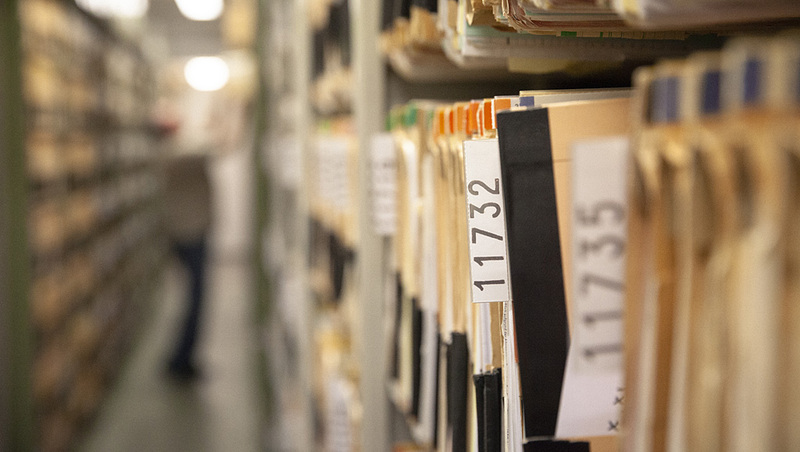 In many cases, the archive enables Reinecke to find out about local conditions quickly. A solid foundation, mostly analog on paper and microfilm. But the specialists from Aachen are confronted more and more often with new challenges. A problem faced by many congregations is excessive humidity in their churches. The reason is not clear yet, but the result is often plain to see: mold growing on altars, organs and walls. Increasingly, Mahr fights it with ventilation units and control systems developed in-house. “We measure the humidity and regulate the systems to establish a better climate,” says Reinecke. These measures make it possible to preserve valuable frescoes and historic instruments. However, this is sometimes in conflict with the perceptions of churchgoers. “Nowadays people come from their 22-degree living rooms and drive in their pre-heated cars to a 15-degree church. Of course it seems cold to them. Back when people still had to tramp to church in the snow for 45 minutes, they found eight degrees to be toasty warm,” says Reinecke with a twinkle in his eye. “But I can’t heat a church with an organ up to 20 degrees. That would damage the organ quickly.” The control systems used have a protective function in such cases. But Reinecke still has plenty of tough nuts like Aachen Cathedral to crack. “It’s impossible to get this building completely draft-free,” he says. Besides sophisticated technology, lots of good advice is called for. But for that he is very well equipped.